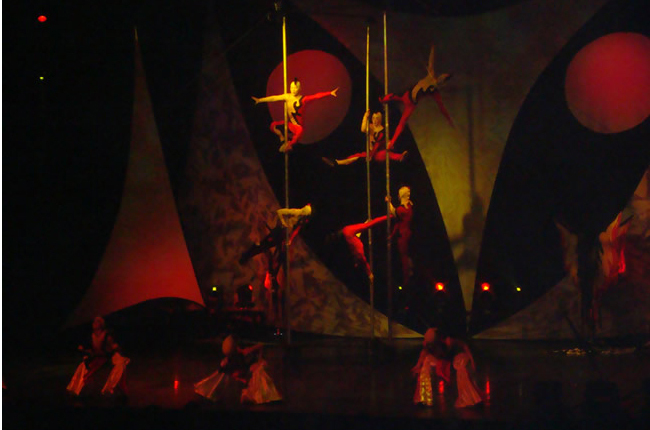 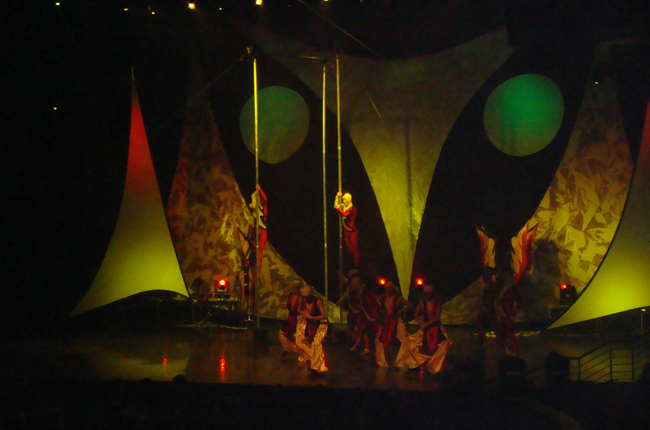 Chinese poles are vertical poles on which circus performers climb, slide down and hold poses. 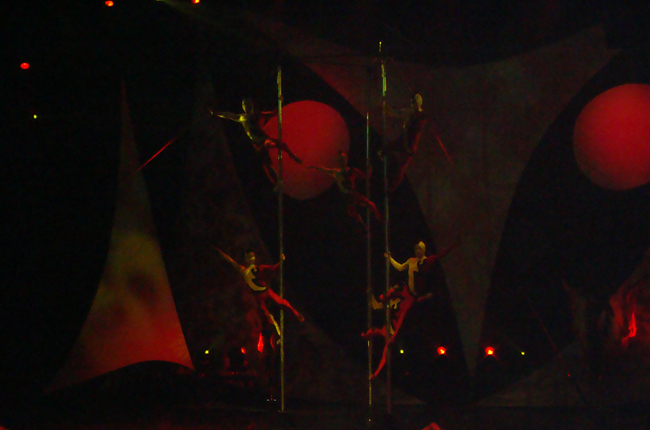 The poles are generally between 3 and 9 meters in height and approximately 2 to 3 inches in diameter. 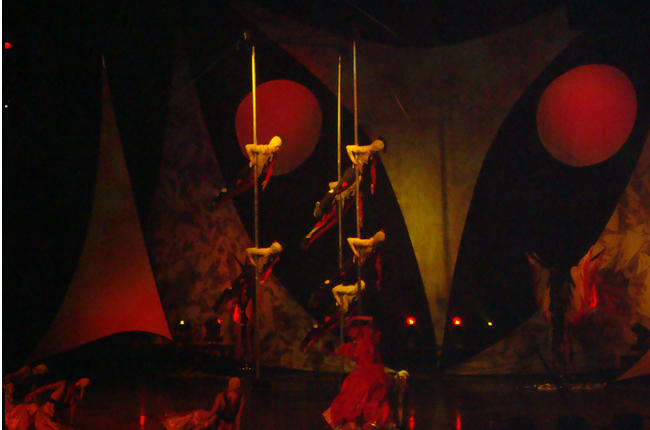 This act is a visually incredible act that requires an enormous core, and arm strength.